From the small, elegant city of Passau in southern Germany you travel past the dramatic Schlögener Loop - a 180° turn in the Danube's course - and then visit the beautiful city of Bratislava, which has a wonderful old town with ancient streets and alleyways, and a vibrant café and bar scene. Onward to the imposing Hungarian capital Budapest, which has a wealth of interest which you will have time to explore. Your return journey to Passau includes a full day in Vienna, where optional excursions can show you the main sights of this wonderful, historic capital. The cruise is rounded off by a final cycle ride through the special Wachau region, famed for its wines and attractive baroque towns, and the Captain's Farewell Dinner. You leave the boat in Passau on the final morning after a cruise of infinite variety and interest. Arrival in the "Three River City". Passau attracts many with the world's greatest church organ at the Stephansdom and it’s charming Old Town. Embarkation will be around 4:00 pm, departure around 7 pm. 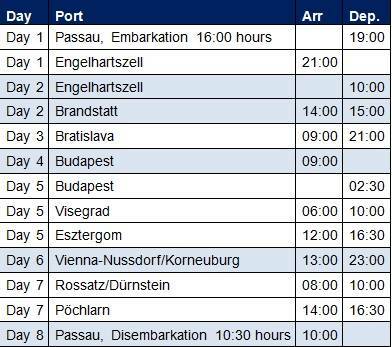 Enjoy your first dinner on board and an evening sail to Engelhartszell. The day starts in Engelhartszell (the only Trappist monastery in Austria), where we head towards the "Great Loop" - one of the most beautiful and original sectors of the Danube. Your cycling will encounter small villages and cosy must-see taverns. You'll board again in Brandstatt. Then, you "sail into the night" towards Bratislava. Arrival at Bratislava. You start cycling from Bratislava via Hainburg to the imposing Imperial Palace of Hof beautifully terraced gardens and idyllic manor farm further on to Devin and then back to Bratislava. Tip: discover the hidden alleys of Bratislava, places and all the sights of this ambitious metropolis during a tour by mini train and by foot. In the night shipping to Budapest. In the early morning, you enjoy the panoramic view of the Danube's gorgeous landscape on the Sundeck. The gateway to Budapest is overwhelming, as many of the famous tourist features are situated directly next to the river bank. In the afternoon you can explore the numerous attractions of the city. Nearby, you find the Margaretheninsel which is outstandingly qualified for a small bike tour or the charming town of Szentendre with Mediterranean atmosphere and lively art life. In the night shipping to Visegrad. The Danube bend is definitely one of most delightful and attractive parts and is called the Hungarian Wachau. Today's bike leg starts at Visegrad with its famous fortress and the ruins of the former palace. You can choose from 2 different routes: the longer one includes a side trip to the island of Szentendre and the baroque village of Vác, which has been influenced by the architects of the Austrian empress Maria Theresia. The other route leads you directly to the bishop-town of Esztergom, with its gorgeous basilica – Hungary's largest Catholic Church – overlooking the village. In the night shipping to Vienna. You should be sure to see the most famous places of interest like the St. Stephens Cathedral, the Hofburg, the gorgeous boulevard "Ringstraβe" with the Burgtheater, the State Opera House or the town hall that takes you back to the past. In the night shipping to Rossatz or Dürnstein (Wachau). Your last biking day is a special highlight! Amidst small dreamy villages, apricot trees, vineyards, castles, monasteries and ruins, this gentle hilly landscape enchants everybody. A powerful ruin looms above the small Baroque town of Dürnstein, while the blue tower of the monastery church is a landmark of Wachau. In the small village of Pöchlarn you will board again. After the farewell gala dinner, you start “sailing” back to Passau. Every journey draws to an end. Once again you enjoy on deck the first sunbeams and the peaceful silence of the Danube Valley. Take a last sight at the Schlögener Schlinge ("Great Loop") before you arrive relaxed at Passau. Arrival: approx at 10:00 a.m., disembarkation half an hour later. We recommend to arrange connecting trips from noon onwards. Passau - Budapest - Passau (Bike & Barge) from Freewheel Holidays on Vimeo. 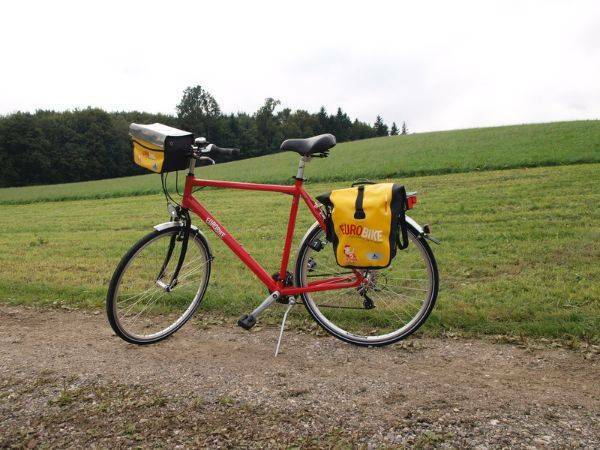 Nearly all flat, as you cycle along the Danube valley on metalled towpaths and minor roads. We recommend flying to Munich, Nuremberg, Linz or Salzburg airport to reach the starting point of this cycling holiday. On joining this vessel you are immediately aware of the cosy and informal ambience on board. On the upper deck you will find the comfy panorama salon with its bar and the small sauna (advance booking at the reception only) on the main deck the comfortable restaurant (no direct access from the cabin-zone). On deck there are both deck chairs and ordinary chairs and tables, which encourage conversation and communal activity in fresh air. MS Normandie possesses altogether two 1-bed-cabins and forty-nine 2-bed-cabins. They are all outside cabins, giving some 10-11 square metres of space (2-bed) and about 7 qm (1-bed). 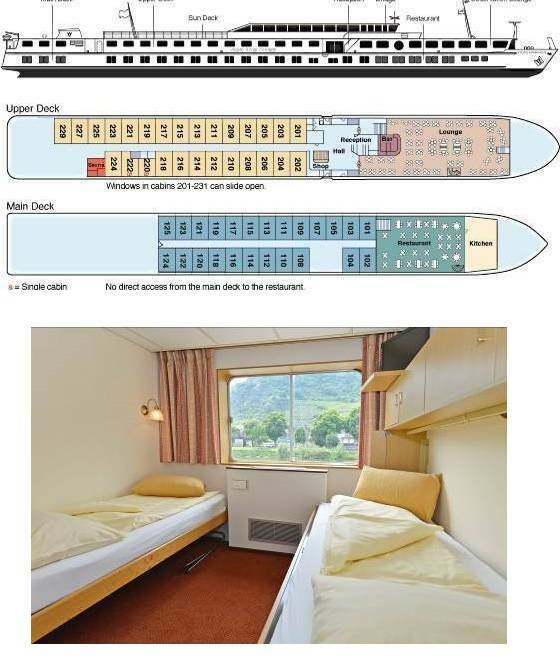 All 2-bed-cabins on main and upper deck are equipped with two lower beds, one of which can be folded against the wall during the day to provide a more homely atmosphere, shower and WC, hairdryer, TV, safe (deposit), central air-conditioning and a picture window. Only on the upper deck the windows may be opened. 1-bed cabins have one lower bed and are otherwise equipped with same features. Technical details: Length 91.2 m, width 10.50 m, depth 1.60 m, max. 100 passengers. Currency on board: Euro. Credit cards: MasterCard and Visa. Journey to and from Passau, shuttles, entrance fees and excursions, bike rental, travel insurances, parking fee, ferry fees, drinks on board, tips. • Bicycles on board: unisex trekking bicycles with normal mount (ladies model), 7 gears with coaster breaking hubs or 7 speed freewheel hubs (subject to availability) and pannier bag. E-Bikes are available after prior request and at limited number. Please indicate your height when you book. • To bring your own bike: on request only – due to lack of space on sundeck. • Cycle tours: all distances are “approximate distances” of recommended bike tours. When a guest does not want to cycle one day, she/he can skip the bike tour and relax on board while cruising to the next harbour. 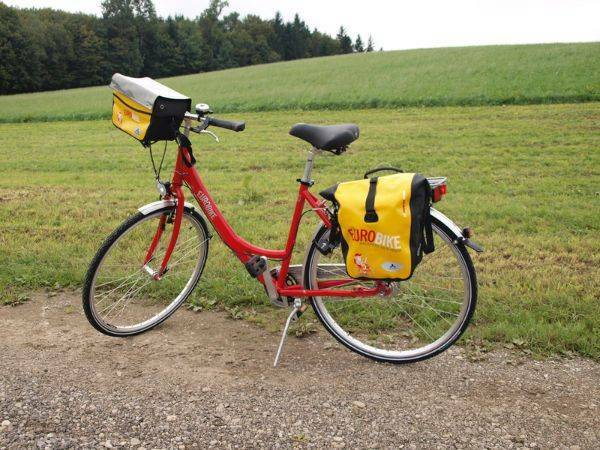 The bike tours are individual, at your own pace, without a tour guide, but with daily briefings on board and detailed bicycle maps and directions. 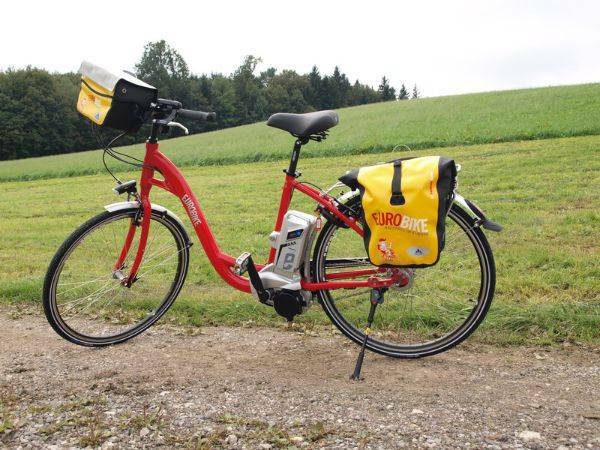 All cycle tours can be classified as being easy. • Smoking: the interior of the ship is a non-smoking zone: smoking is only allowed on the sun deck. As a safety measure, a statutory smoking ban applies in all cabins; this means that all cabins and rooms on board are non-smoking areas. • Routing/Program: basically, we reserve the right to make changes of routing and program. In case of flood or low tide, the shipping company reserves the right to bridge parts of passages by buses. In extreme situations, the shipping company reserves the right to cancel the journey on short notice. No legal right shall be constituted of both situations. The same applies for officially ordered - previously not announced - repair work on locks or bridges. Please be aware that a cruise ship on the Danube is not only your hotel but also a machine, working with engine power also during the night. Especially crossing locks and bridges - and the preparation work - may cause noise. If you are sensitive please bring your own ear plugs. •Travel documents: EU-citizens (without special situations like dual citizenship, main residence abroad or a limited-validity passport) are required to have a valid passport or ID-card, not expiring within six(6) months of the return of your cruise. We kindly ask non-EU citizens, EU-nationals with multiple citizenship or anybody who has to respect special legal entry requirements for the country to visit, to inform about visa and entry documents at the competent embassy. • Important - This trip is not suitable for guests with reduced mobility.